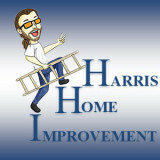 Harris Home Improvement Ltd. - Painting and Restorations. "Stepping Up since 1982." Today at Harris Home Improvement, we provide Drywall Repair and Installation, Trim Repair and Installation, Basic Interior Painting, Faux Finishing, Exterior Cedar Siding and Trim Repair and Installation, as well as a World Class Exterior Coating System called Weather Guard™ which comes with a 10 year Labor Warranty. But that's not all, we go the Extra Mile for Every Customer, Every Time by providing up to 20% in Extra Work for FREE, or a 10% Discount! Call Today for your Free Estimate! (860) 406-5877 Exterior Painting; $5000 to $50,000. 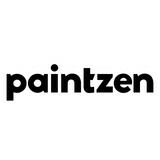 Interior Painting from $1000 to $20,000. Faux Finishing from $1500 to $36,000. Interior Trim Repair and Replacement from $1000 to $50,000. Drywall Replacement/Installation from $1000 to $30,000 Exterior Wood Siding & Trim from $1500 to $100,000. Insurance Renovations; $2500 to $500,000. Estimates based on experience. Your actual costs may vary depending on the scope of your project. Mohawk Painting, LLC. of Danbury, CT is a dynamic, full service residential house painting and commercial painting contractor serving many counties of Connecticut and New York. We offer you a complete line of professional interior painting and exterior painting services, along with drywall repair, deck staining, power washing, and more. Mohawk Painting, LLC. consistently operates at the highest level of industry standards, striving to provide excellence and great value with every project, whether as a painter, gutter cleaning, power washing, drywall repair, drywall installation, or any other job. You can view a complete list of our services at: <a rel="nofollow" target="_blank" href="http://www.mohawkpaintingllc.com/services.html">http://www.mohawkpaintingllc.com/services.html</a> Whether it is a home for your family, an income property, or commercial properties you manage, Mohawk Painting delivers over 15 years of expertise in Interior and Exterior House Painting. As Danbury Painting Contractors we work with a variety of clients with all different painting project types from homes to Multi-Unit to Commercial buildings. Although our projects have ranged in size, our niche is to improve the appearance of your property while adding real value. At Barrington Painters, we take great pride in our experience, expertise, quality and customer service that we provide to meet the consumers needs. It is our mission to provide excellent workmanship and complete customer satisfaction from start to completion of a project. In order to understand the needs and expectations of our customers, we take great care to work and communicate with every customer in a professional manner. Our reputation is based on service, safety and quality, regardless of how large or small the job. 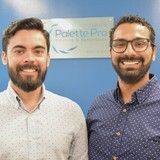 Tom Saint Painters is a Newtown, CT based family owned and operated business whose mission is to provide the highest quality work and most professional service in the area. Whether you’re planning to paint your home, or just the trim on a lake house, Tom's team of professionals is dedicated to consistently providing a "job well done!" Whether you have years of neglect or just want to freshen up or change colors, we will restore your home as if it was our own. House need paint? Call Tom Saint! The phone number is (203) 362-9972 or you are welcome to click the "Contact Me" button to send us a message. We look forward to working with you! Living Color LLC is a full service, licensed and insured painting company serving West Hartford CT and the rest of the Greater Hartford area. Our company focuses on high quality, custom interior and exterior painting services for both residential and commercial projects. We realize that there are alternatives when choosing a painting contractor and we take seriously the confidence our clients place in us. We work closely with our customers every step of the way to ensure an experience, and a result they will be happy with for years to come. The skillful paint job we provide will not only enhance the way your home or commercial space looks, but it could increase the value as well.